The Association for the Sciences of Limnology and Oceanography, or ALSO, is the leading professional organization for researchers and educators in the field of aquatic science. It formed over 60 years ago and is best known for its journals and its interdisciplinary meetings. In recent years, the society has developed programs in public education and outreach, public policy, and professional development. ASLO also recognizes scientists for their exceptional work in advancing the fields of limnology and oceanography. Dr. Ken Dunton, professor and ecologist, received the 2016 Ramón Margalef Award for Excellence in Education recognizes excellence in teaching and mentoring in the fields of limnology and oceanography. 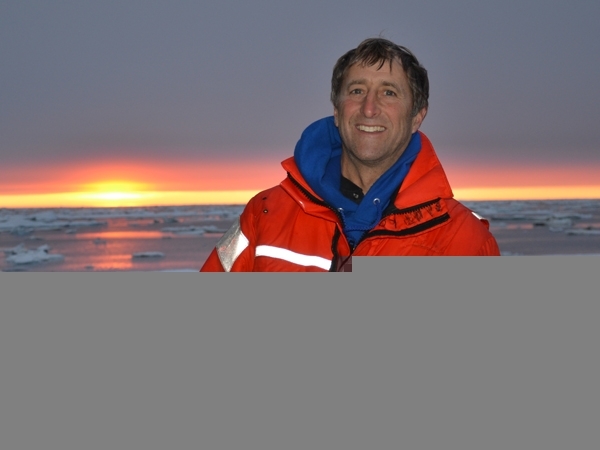 Credit: Susan Saupe, Cook Inlet RCAC.The Ramón Margalef Award for Excellence in Education recognizes excellence in teaching and mentoring in the fields of limnology and oceanography. Dr. Kenneth H. Dunton is the 2016 recipient of the Ramón Margalef Award for “being a visionary and continually creating new and innovative approaches to bridge science and education, bringing hands-on, real world outreach into local communities, and training science teachers and the next generation of marine scientists and ecologists.” Dr. Dunton is a Professor in the Department of Marine Science at The University of Texas at Austin’s Marine Science Institute. The award will be presented at the ASLO 2016 Summer Meeting in Santa Fe, New Mexico, June 5-10, 2016. Ken Dunton has continually striven for educational excellence in marine science in a variety of education outlets, including K - 12 and undergraduate classrooms, local communities, and graduate student mentorship and training. A role model for his students and peers, Ken Dunton has approached education with passion and care that springs from a desire to inspire curiosity in young scientists and create a better future. One of the hallmarks of Ken Dunton’s outreach is the desire to give people exposure to hands-on scientific research, and this is exemplified in his Summer Oceanography Program in Kavtovik, a small village on the Alaskan Arctic coast. These week-long, highly interactive learning camps give local students the chance to become immersed in scientific research, encouraging students from this remote village to pursue careers in science. Ken Dunton also led the creation of the University of Texas Marine Institutes (UTMSI) Summer Science Program, which allows 3rd-8th grade students from across Texas to interact with scientists in the field and lab. Over 1000 students have participated in these programs since their inception in 2008. Dunton’s educational projects also provide mentorship for graduate students. 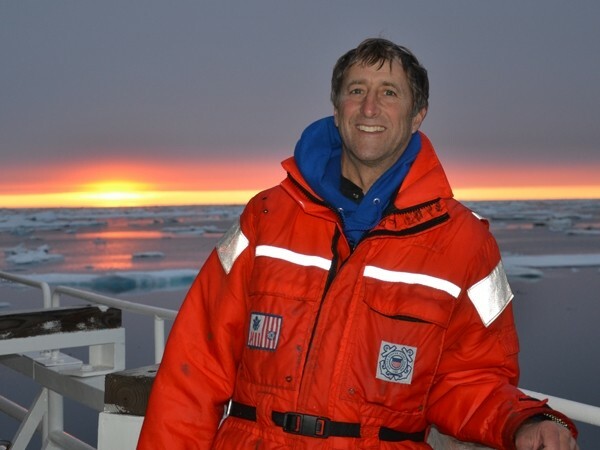 Dunton conceived and directed the NSF-sponsored GK-12 program at Texas based on early efforts to educate students and teachers on how climate change was affecting Arctic communities. He then developed the Scientist in Residence program, which links graduate students with teachers in K-12 classrooms. The unique partnership helps graduate students learn how to communicate their science and brings excitement into K-12 classrooms. The combined activities have grown into a large collaboration between UTMSI and local school districts, which have trained over 30 graduate fellows, 45 GK-12 teachers, and reached over 2500 students. Dunton is also very involved with undergraduate education. In 1998, he created the Marine and Freshwater Biology BS degree option and has served as the program’s Undergraduate Faculty Advisor since its inception. He was also instrumental in creating the new Semester by the Sea program where undergraduate students from UT-Austin take 15 hours of coursework at the Marine Sciences Institute in Port Aransas, TX each spring. Dr. Dunton’s drive to teach extends to his own lab, where he has mentored numerous scientists, ranging from high school students to postdoctoral researchers. Former student Heather Alexander of Mississippi State University nominated Dunton for the award, stating: “Ken is dedicated to engaging students in real science, which is truly a transformative process for young scientists. I will never forget taking my first field course with him: going out into the salt marshes, tromping through the mud, running transect lines, and genuinely experiencing the scientific process. I knew from that time forward that I wanted to be a field ecologist. Now, as an educator myself, I reflect upon those experiences, and I strive for a similar vision in my own teaching and mentoring.” Dunton also was elected to four consecutive terms on the Port Aransas ISD School Board, serving 11 years, two as Board President. Press release courtesy of the Association for the Sciences of Limnology and Oceanography. 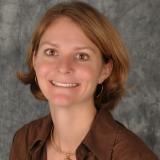 Sally Palmer is the Communications Coordinator for The University of Texas Marine Science Institute. She received a bachelor of science in marine biology from the University of Rhode Island and earned a masters degree in marine science from the University of Texas at Austin in 2001. Prior to her position handling communications, Sally served as the Mission-Aransas National Estuarine Research Reserve Manager. She also has research experience with benthic ecology, hypoxia, and ecosystem dynamics. Since 2006, Sally has help secure over $16 million in funding for administration, research and construction of educational facilities.